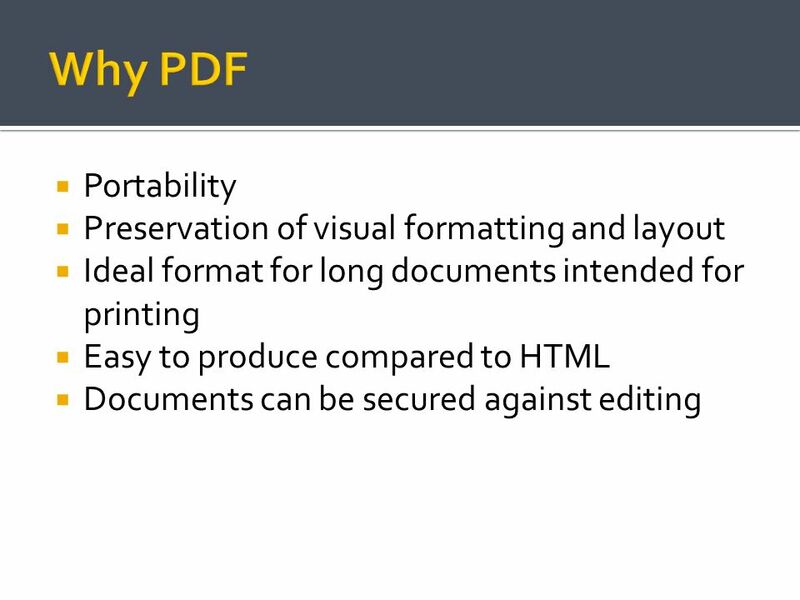 6 When is PDF notaccessible? 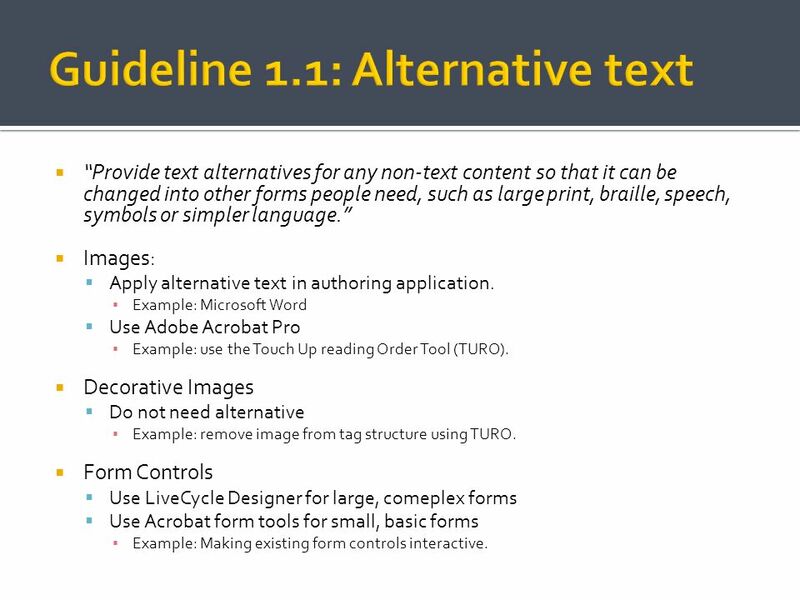 “Provide text alternatives for any non-text content so that it can be changed into other forms people need, such as large print, braille, speech, symbols or simpler language.” Images: Apply alternative text in authoring application. 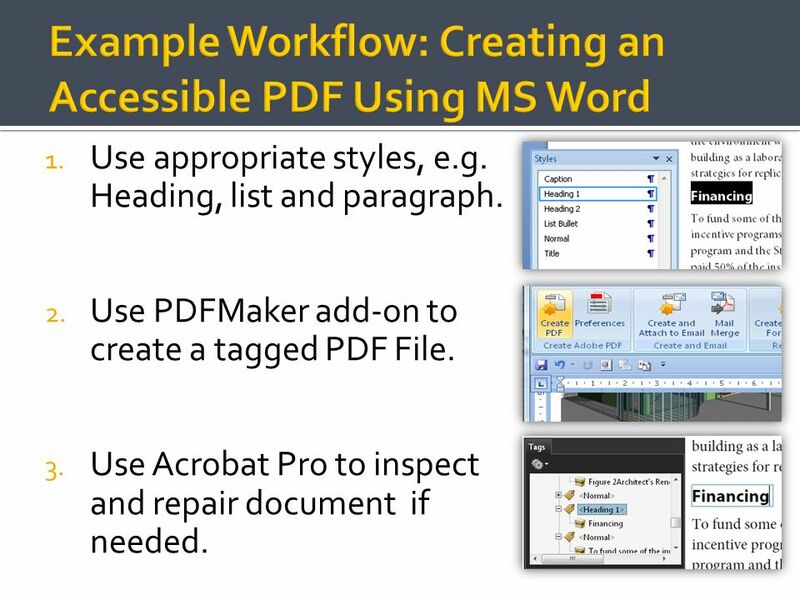 Example: Microsoft Word Use Adobe Acrobat Pro Example: use the Touch Up reading Order Tool (TURO). 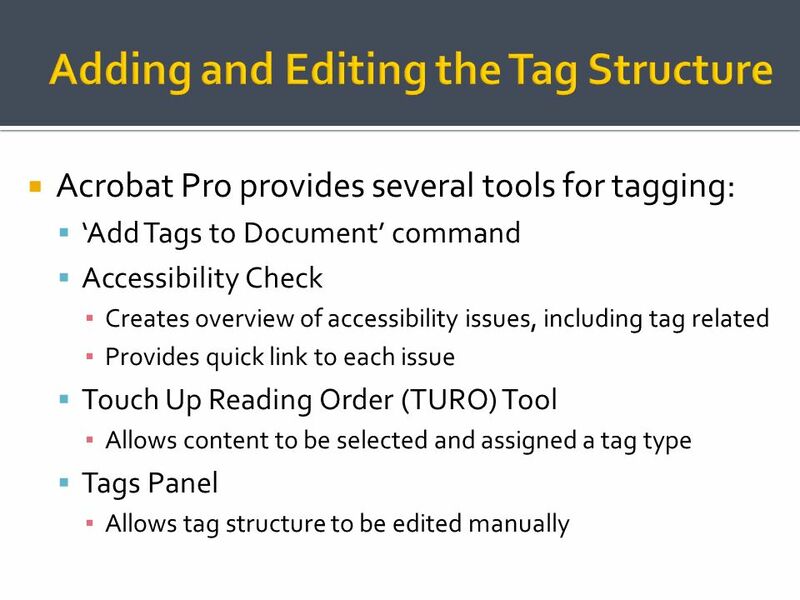 Decorative Images Do not need alternative Example: remove image from tag structure using TURO. 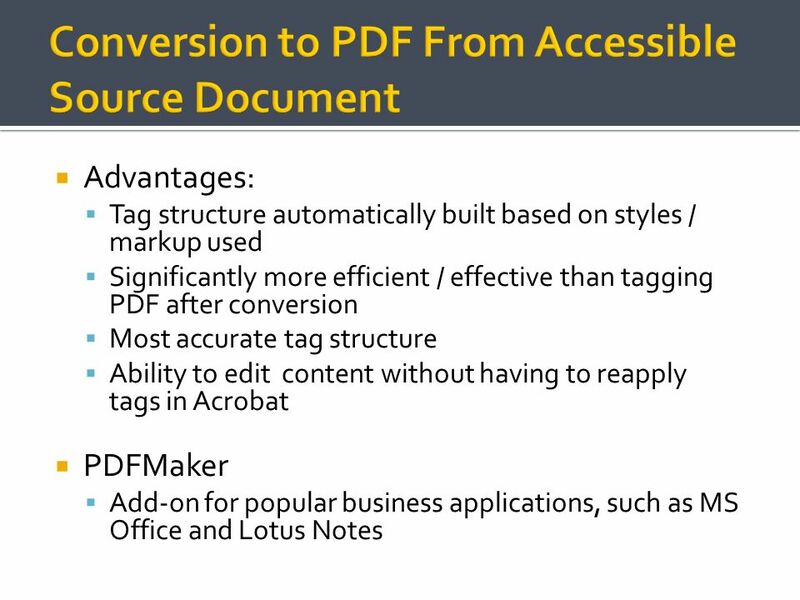 Form Controls Use LiveCycle Designer for large, comeplex forms Use Acrobat form tools for small, basic forms Example: Making existing form controls interactive. Example 1: img_alttext.doc Right click on each image, choose ‘format picture’, in the dialog that appears select ‘alt text’ tab to show text alt Example 2: img_alttext.pdf Start TURO tool, right click on image, select ‘edit alternative text’ Example 3: decorative_img.pdf Start TURO tool, select image, choose ‘presentation’ in TURO window to remove the image from the tag structure Example 4: form.pdf Choose forms > add or edit fields, then click OK button. 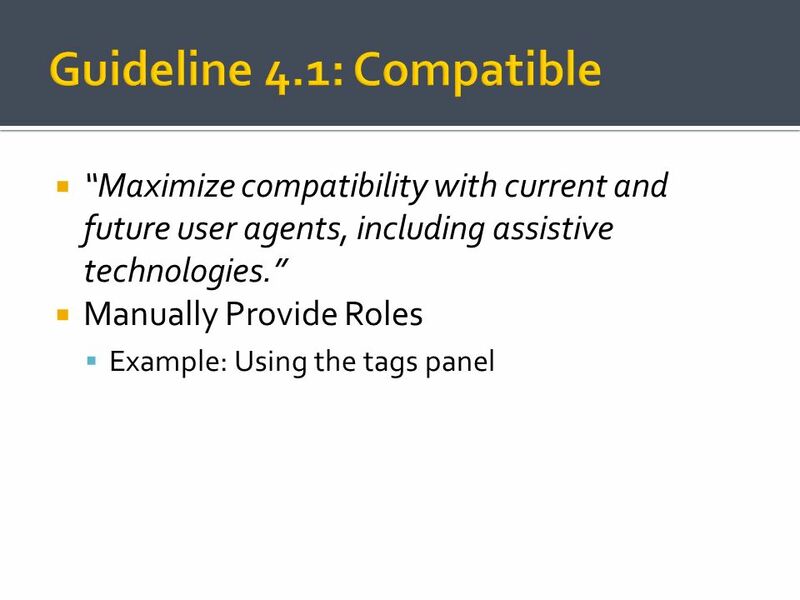 Demonstrate that all fields are correctly recognized, labeled and made keyboard accessible Also show the ‘add form field’ drop down button on the top left in form editing mode, to illustrate that you can manually add controls as well. 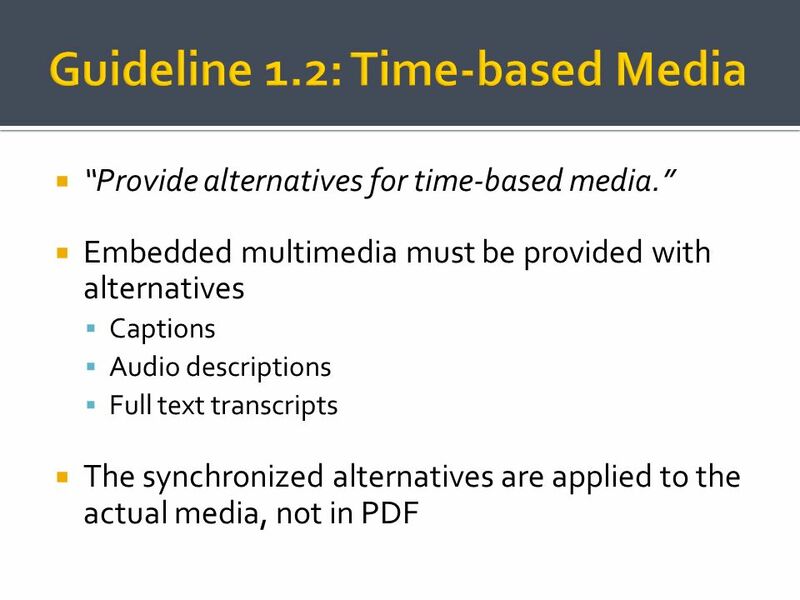 “Provide alternatives for time-based media.” Embedded multimedia must be provided with alternatives Captions Audio descriptions Full text transcripts The synchronized alternatives are applied to the actual media, not in PDF Use Flash_cc_demo.pdf. 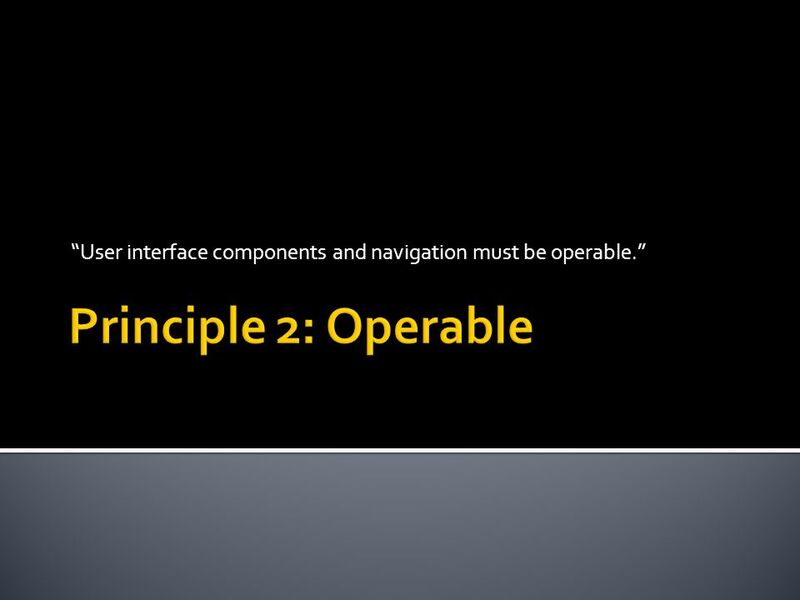 Demonstratecaptioningcontrols. 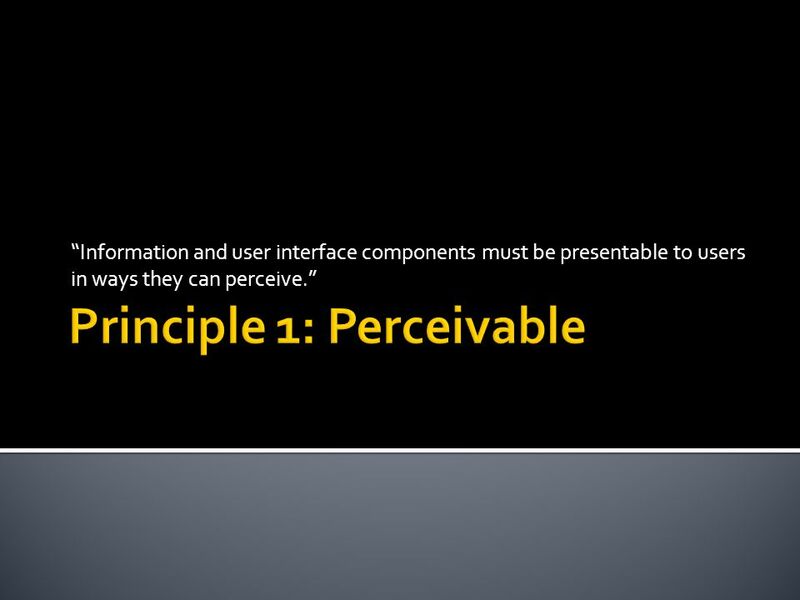 “Make it easier for users to see and hear content including separating foreground from background. 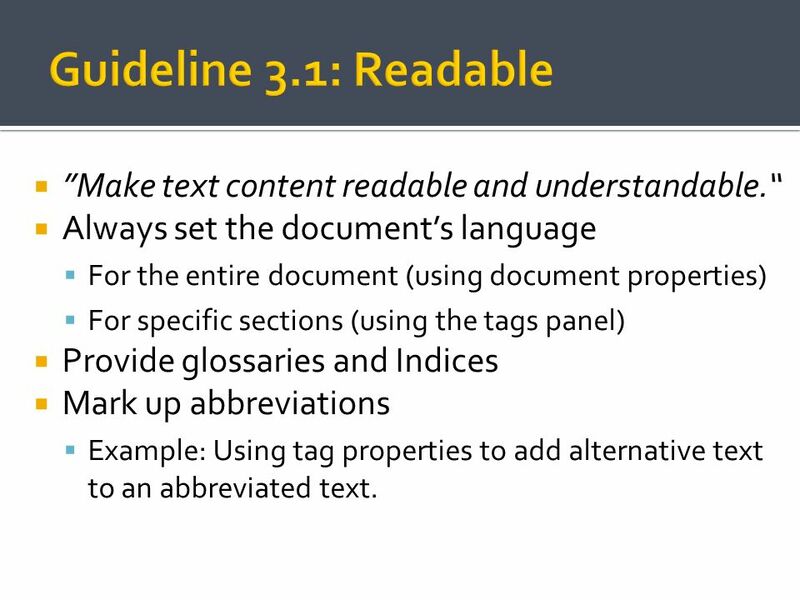 “ Adobe Reader provides helpful features: Customizable high contrast colors Unlimited maginication 12.45 Example: open bad_reading_order.doc in reader to demonstrate high contrast and high level zoomingthroughaccessibilityoptions. 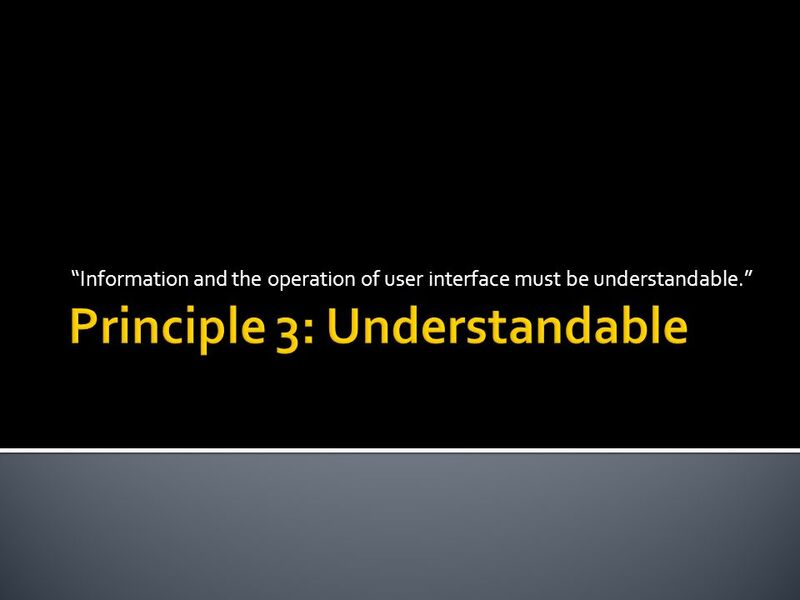 Optional: Open Relations_background.pdf in Reader. Show how the contrast settings are overwrittenwhenit has a background. 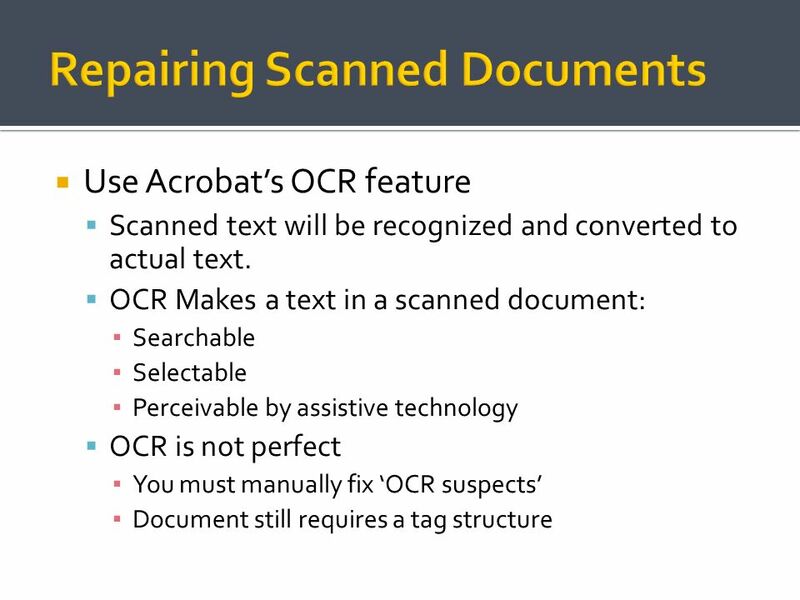 Open Relations in Acrobat Pro and remove the background. 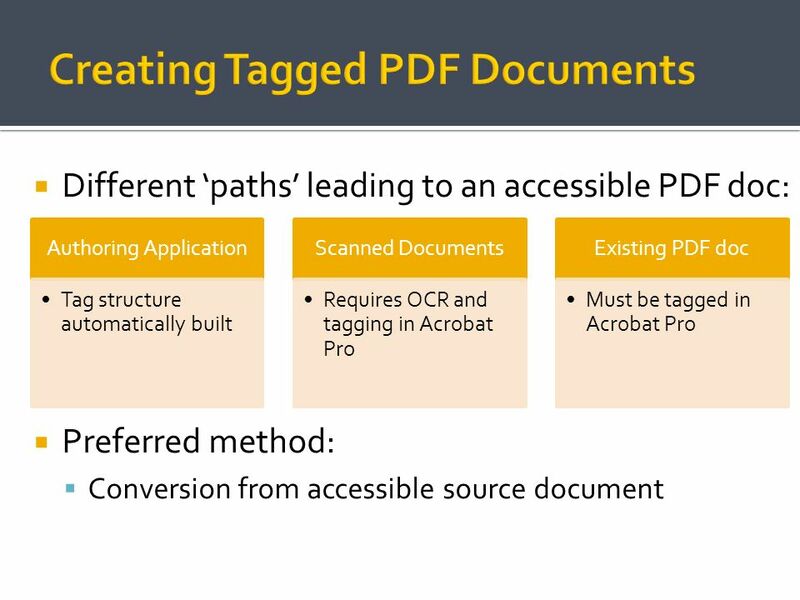 Detailed guides for creating accessible PDF documents and forms Questions? 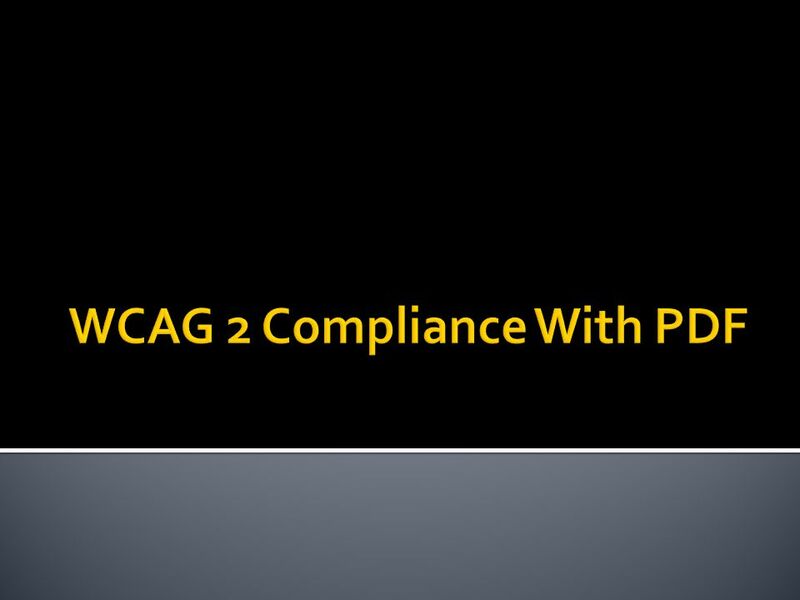 Download ppt "WCAG 2 Compliance With PDF"
Sean Keegan August 5, 2008 For audio call Toll Free and use PIN/code The ABCs of PDFs Part 3: Creating Accessible PDF Documents. Web Accessibility Talyah Aviran Head of UI team. 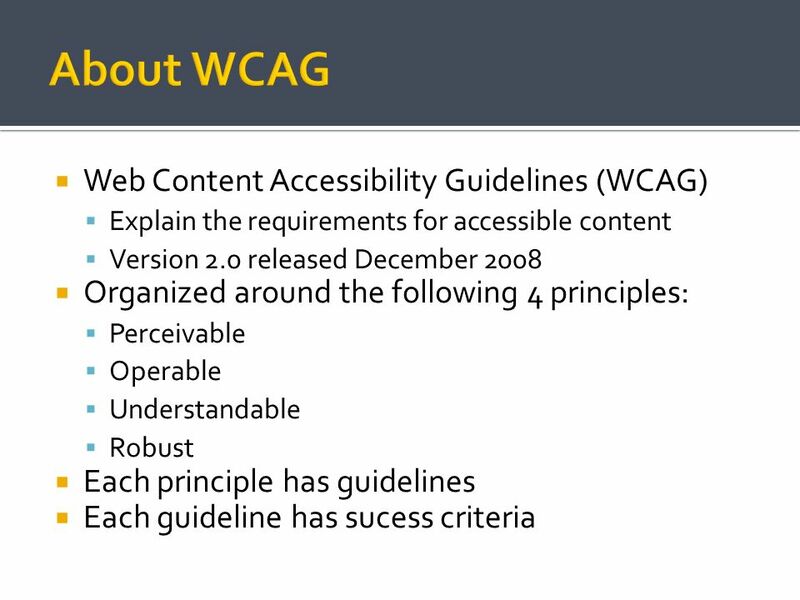 2 What is Accessibility? 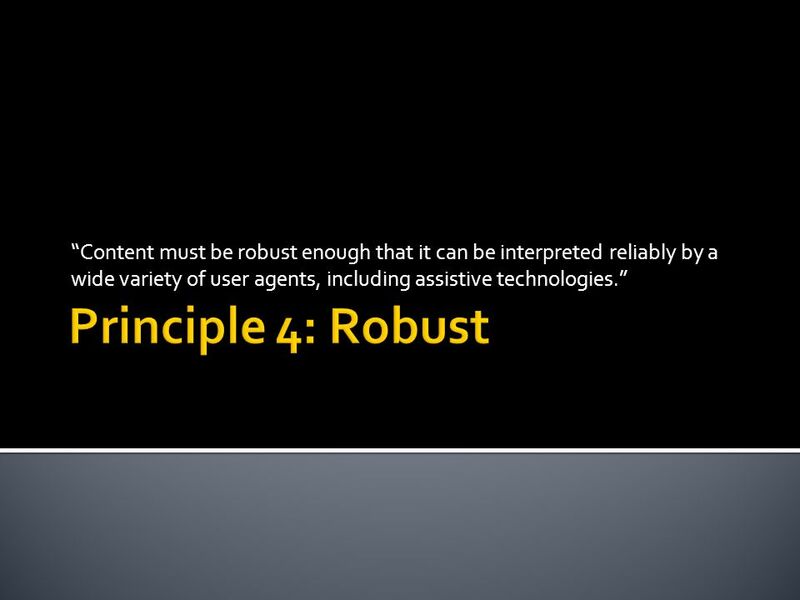 What is accessibility to the Web and why is it important? Impact of the Web. 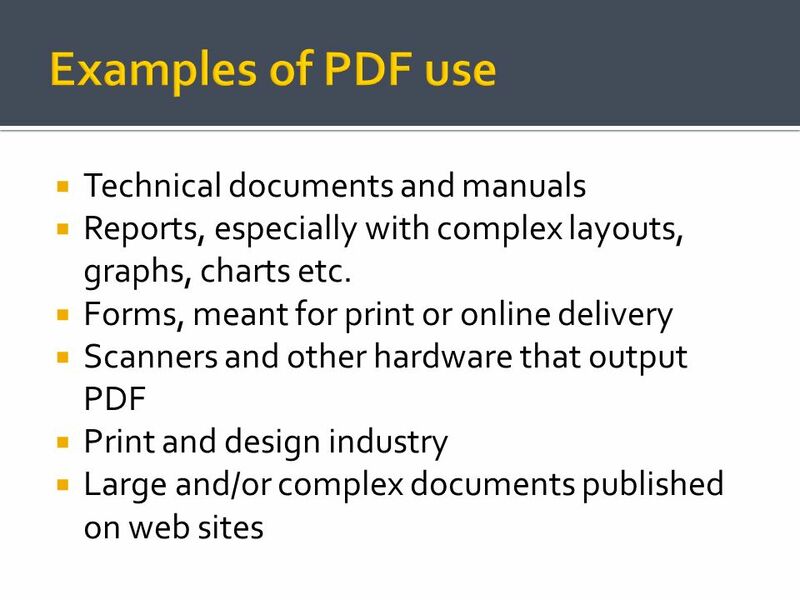 ADA Compliant Websites & Documents What the heck am I supposed to do? 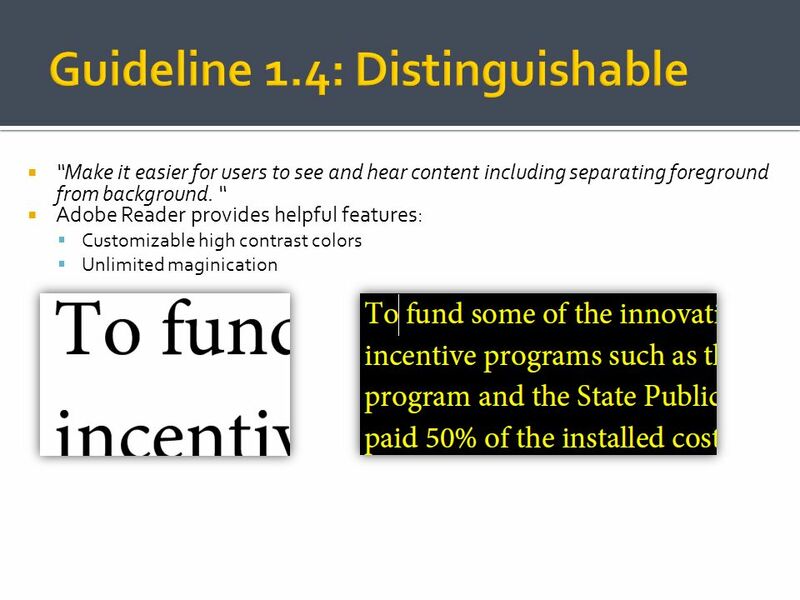 ® Copyright 2010 Adobe Systems Incorporated. All rights reserved. 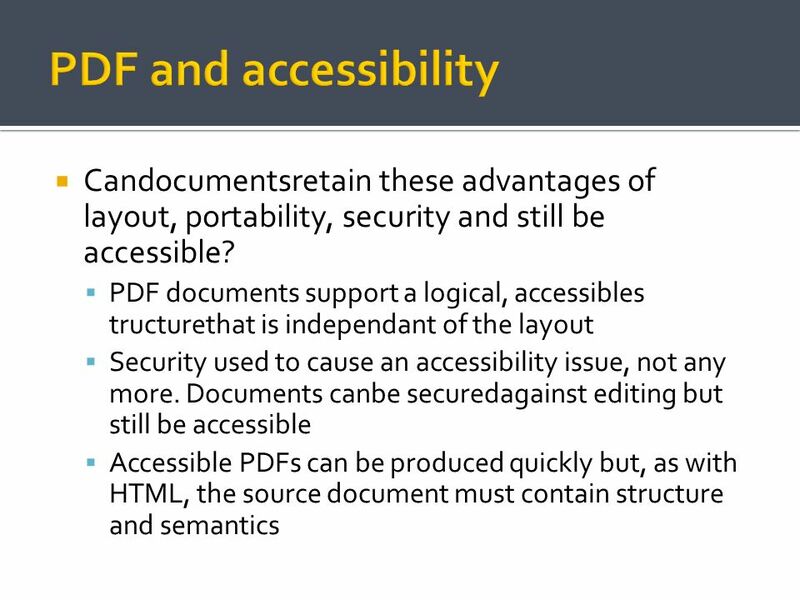 ADOBE® ACCESSIBILITY Overview of PDF & Flash Accessibility Kiran Kaja Adobe Systems 28th. ® Copyright 2008 Adobe Systems Incorporated. All rights reserved. 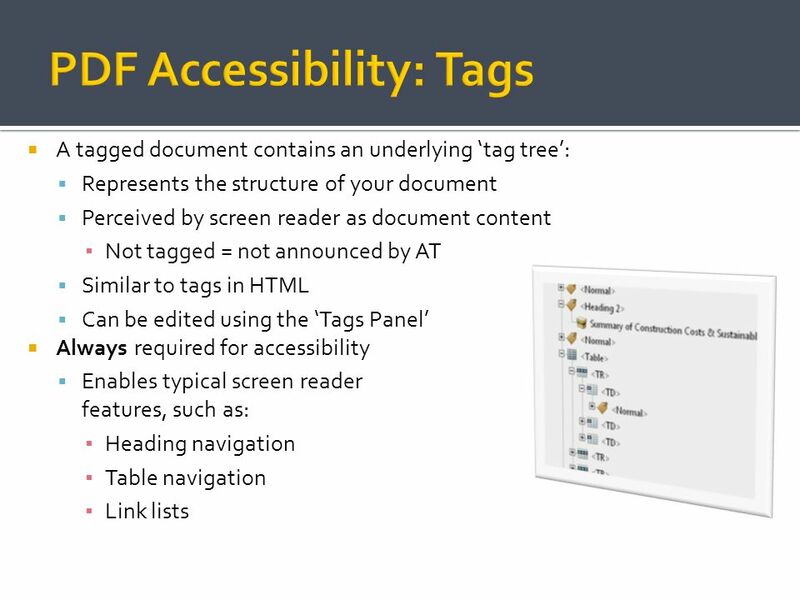 ADOBE® ACCESSIBILITY Achieving Accessibility with PDF Matt May 3 Feb 2010. ® Copyright 2008 Adobe Systems Incorporated. All rights reserved. 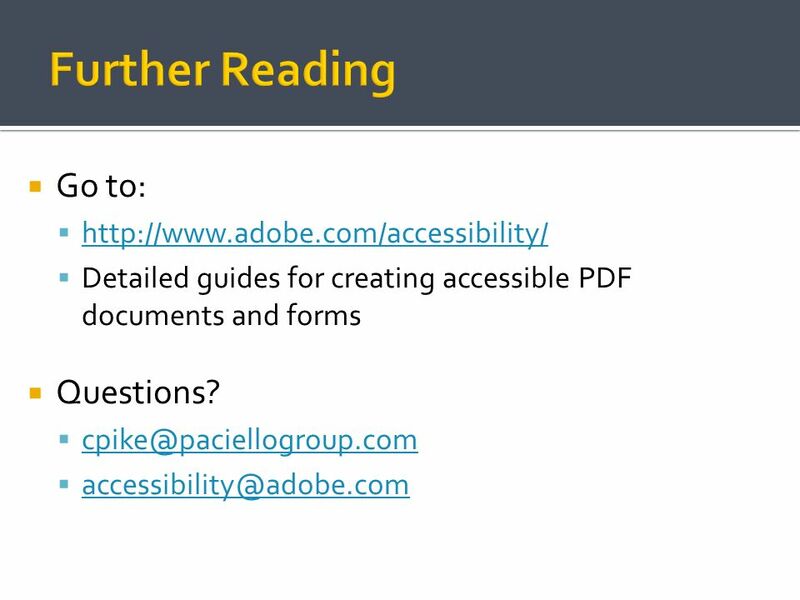 ADOBE® ACCESSIBILITY Achieving Accessibility with PDF Greg Pisocky Accessibility Specialist. Developing Accessible PDF Documents Carolyn Kelley Klinger October 10, 2009 Accessibility Camp DC. © 2010 Adobe Systems Incorporated. All Rights Reserved. Adobe Confidential. 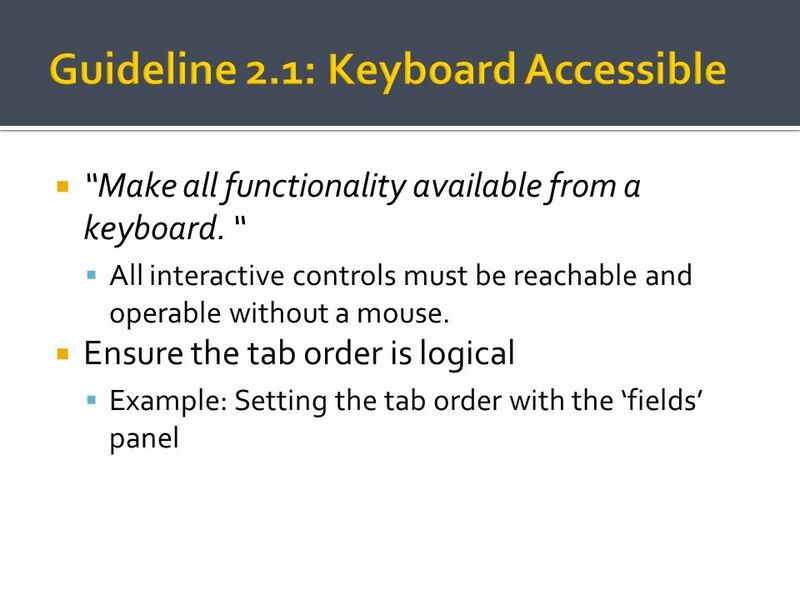 Adobe Acrobat XI Accessibility Features Matt May | Accessibility Evangelist. 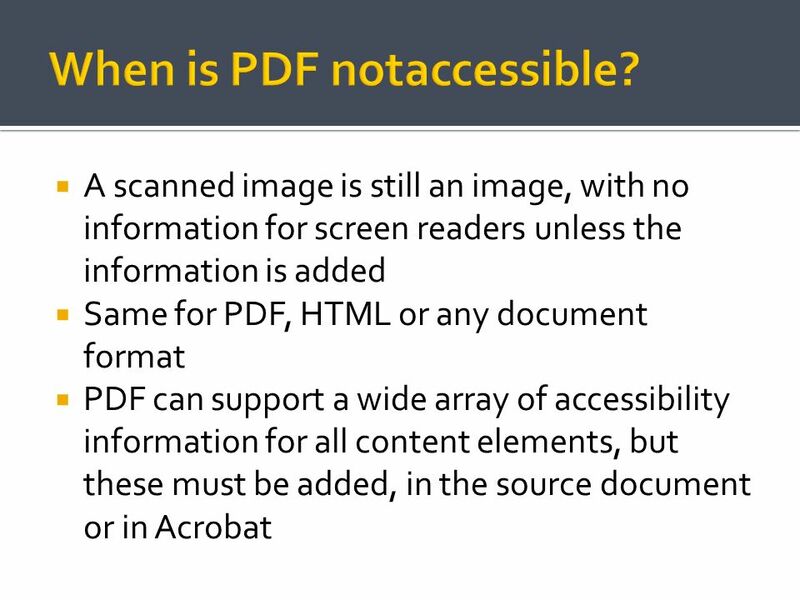 Basic Accessible PDF Document Training Adobe Acrobat Professional 11. ® Copyright 2008 Adobe Systems Incorporated. All rights reserved. 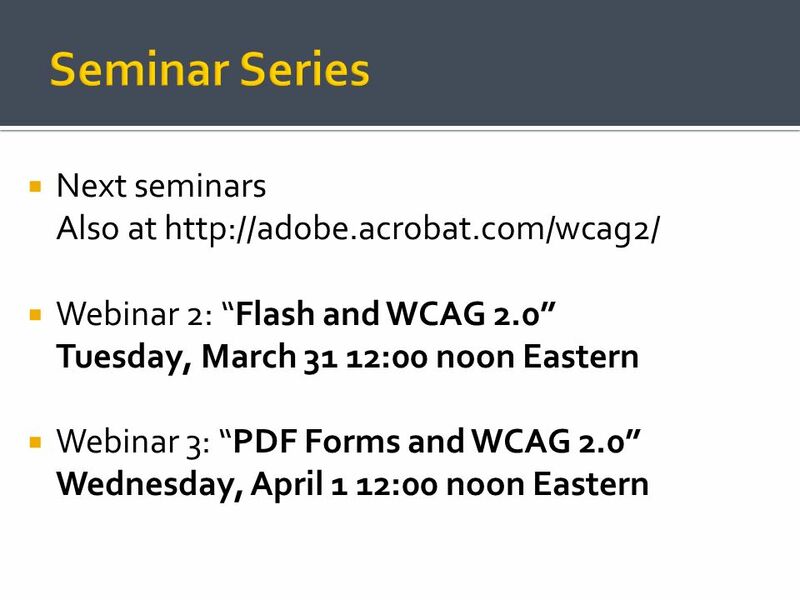 ADOBE® ACCESSIBILITY AT Access to Flash and PDF Matt May 25 Mar 2010 Featuring. © 2011 Adobe Systems Incorporated. All Rights Reserved. Adobe Confidential. 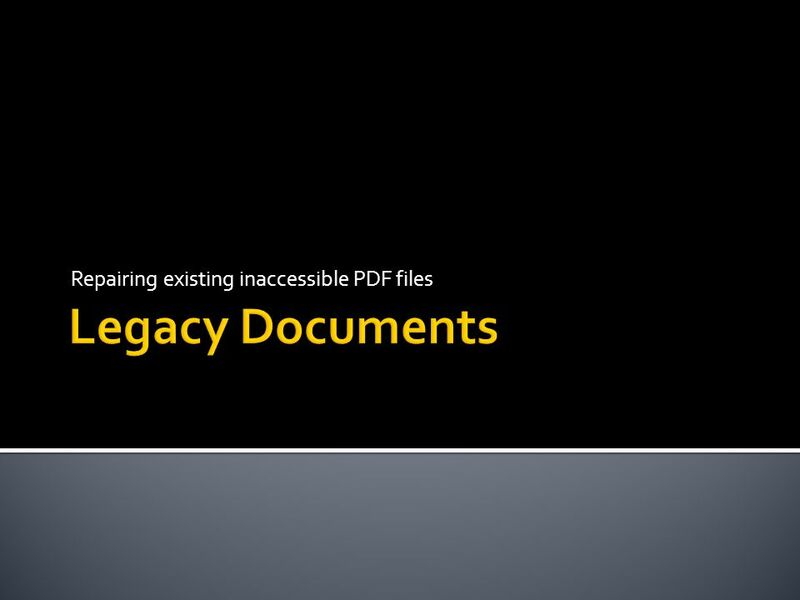 Kiran Kaja | Accessibility Engineer Ensuring Accessibility in Document Conversion. 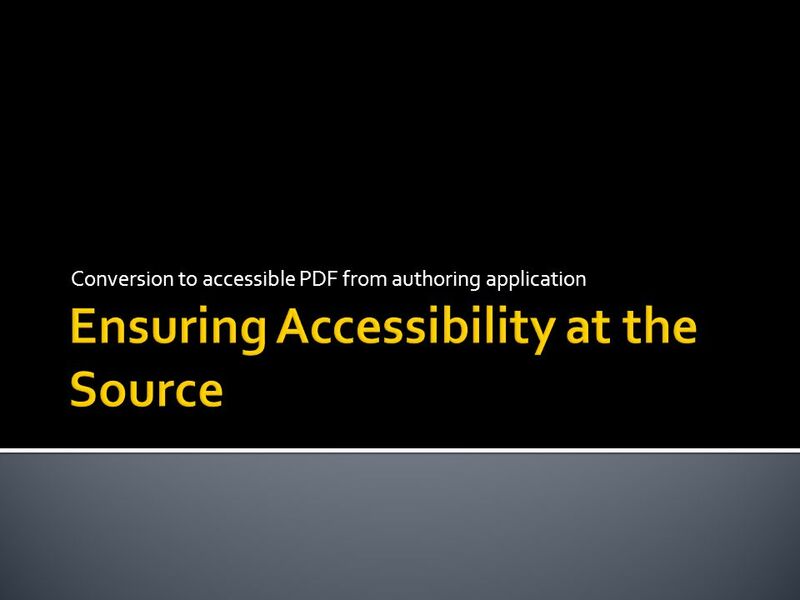 Accessible PDF Creation using Adobe Acrobat Professional 11. 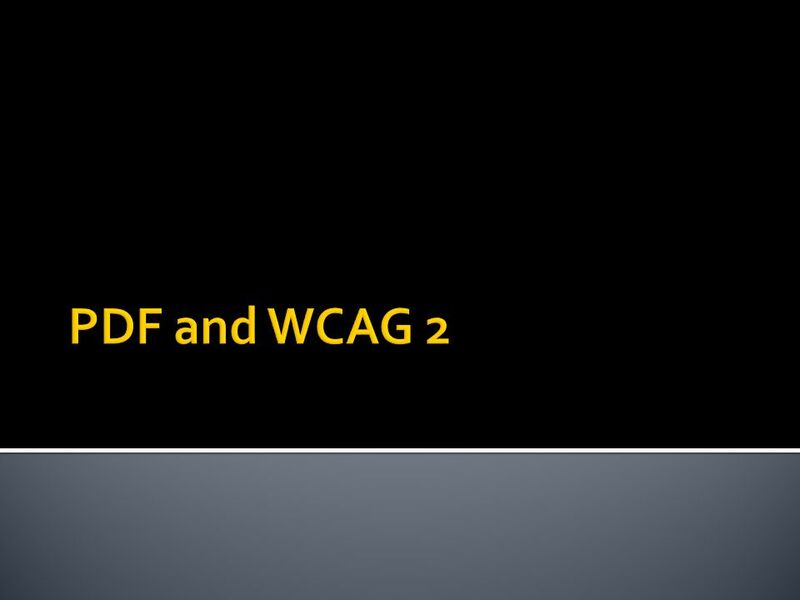 Integrating Accessibility into PDF Documents Sean Keegan Web Accessibility Instructor High Tech Center Training Unit for the California Community Colleges. ® Copyright 2008 Adobe Systems Incorporated. All rights reserved. 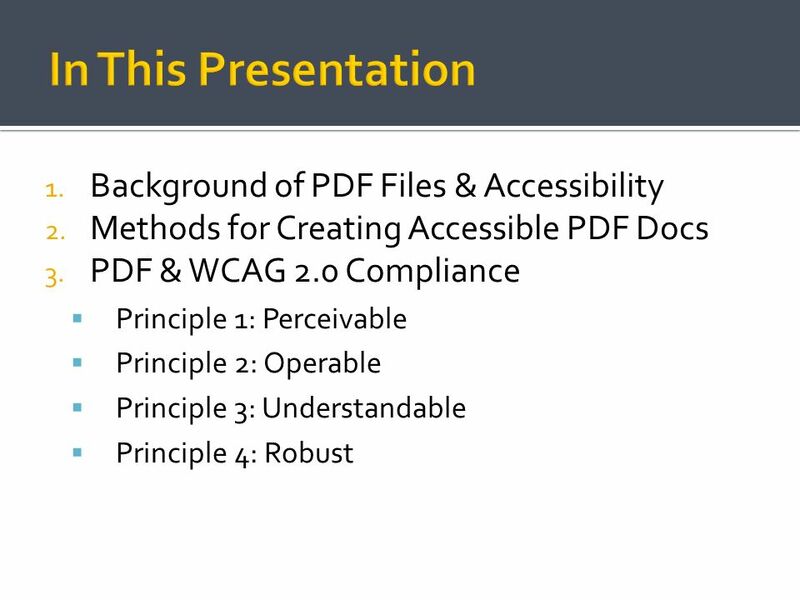 ADOBE® ACCESSIBILITY Achieving Accessibility with PDF Greg Pisocky Adobe Systems Thursday. 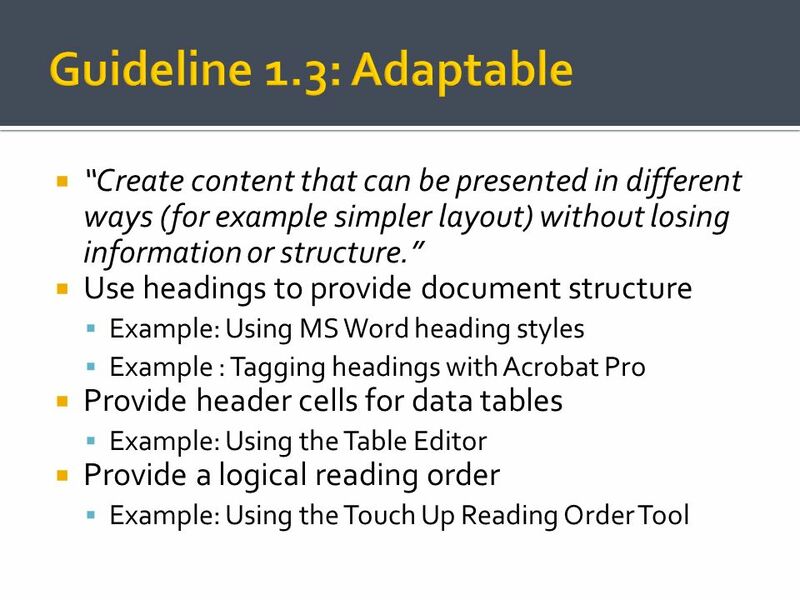 Advanced Accessible PDF Document Training Adobe Acrobat 11. 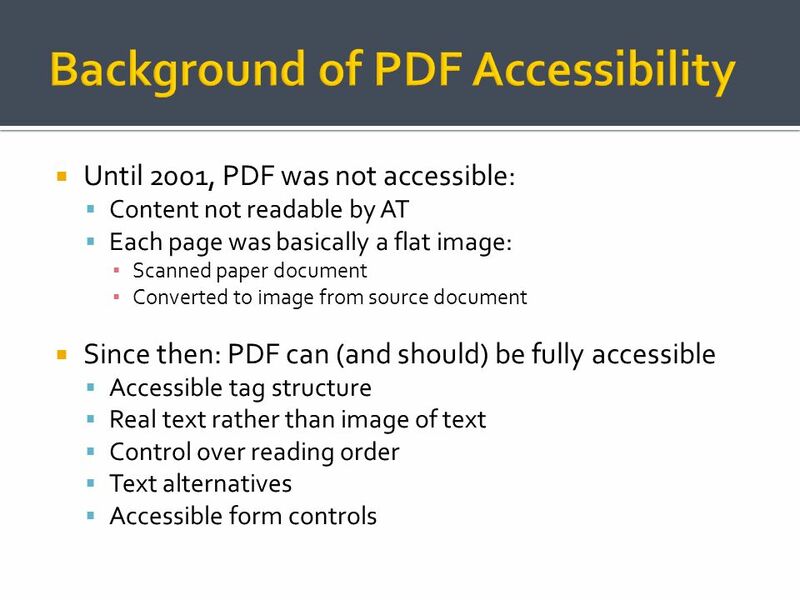 Accessible PDF Documents with Adobe Acrobat 8 Sean Keegan Web Accessibility Specialist CSU Summer Accessibility Institute 2007. The ACCESS Project Jesse Hausler, UDL/Accessibility Coordinator Craig Spooner, Project Coordinator. 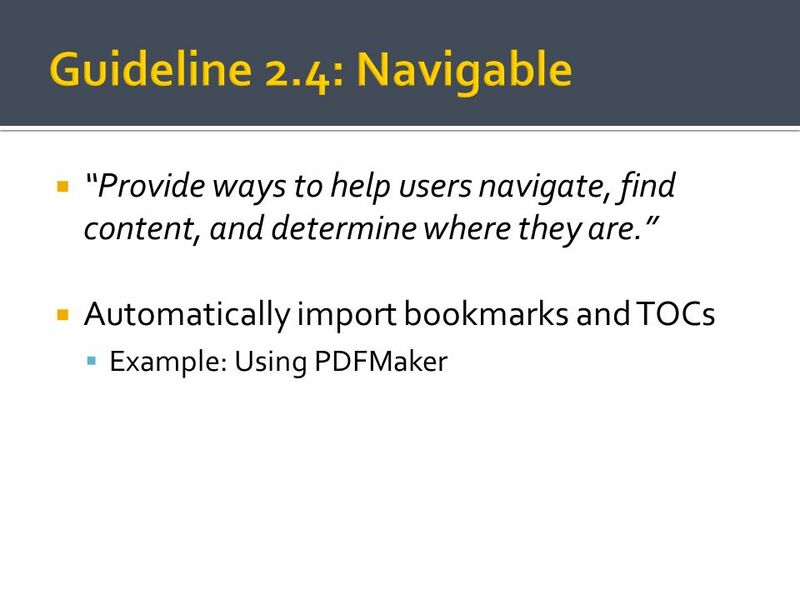 PDF Accessibility: Online Forms Todd Weissenberger Web Accessibility Coordinator University of Iowa Accessibility Notes. 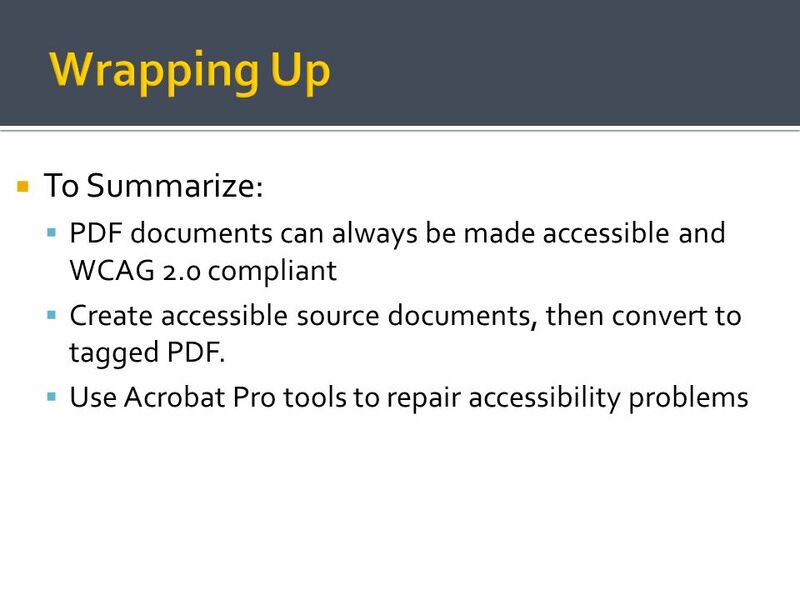 Accessibility with Office and Acrobat Andrew Arch Online Accessibility Consulting.